Developing and maintaining an online presence for area businesses. 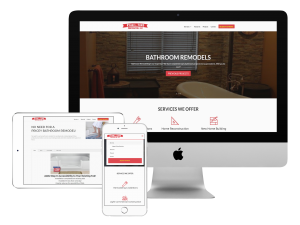 Your business website isn’t all about a professional look. Your site should also be capable of reaching your targeted market. Our business is native to Lewistown, of the greater Central Pennsylvania region, which allows our strategic internet marketers to have a well-shaped understanding of the local market and demographic. To us, you are never just another client, you are a proud local business who is deeply connected to our community. We don’t just serve the community, we are part of it! Our business strongly depends on local networking. To show our support to local business, we are proud to be affiliated with multiple local business networking groups, including; the Juniata River Valley Chamber of Commerce & Visitor’s Bureau, Tri-County Business2Business Network, and the Big Valley Business Association.